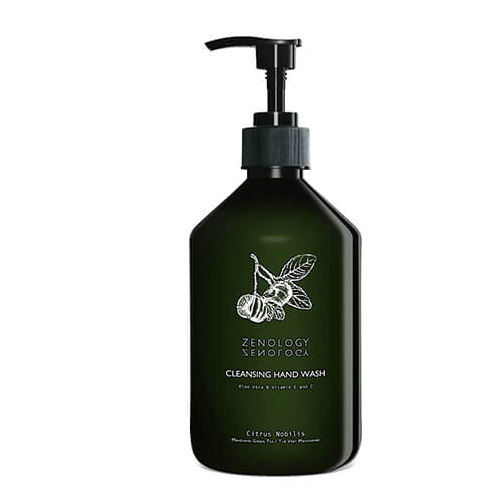 This refreshing Mandarin Green Tea Hand Wash provides a rich, creamy lather while gently cleansing your hands. Formulated with hydrating sodium PCA (a naturally occurring humectant that draws moisture to the skin) and protective Aloe Vera extract to help your hands maintain a perfect moisture balance. Our formula deeply nourishes with Vitamins E & C to keep hands extra-healthy and looking its best. Aqua, Sodium Lauroyl Sarcosinate, Cocamidopropyl Betaine, Inulin, PEG-120 Methyl Glucose Dioleate, Parfum, Acrylates Copolymer, Aloe Barbadensis Leaf Extract, Sodium Benzoate, Guar Hydroxypropyltrimonium Chloride, D-Limonene, Potassium Sorbate, Potassium Olivoyl PCA, Sodium Cocoyl Glycinate, Hexyl Cinnamal, Linalool, Ethyl Ascorbic Acid, Citric Acid, Tocopherol, Sodium Hydroxide. Vitamin E – The Protector: as a powerful natural antioxidant, vitamin E moisturises skin, enhances skin smoothness, soothes and helps in tissue repair and protects skin from environmental stress (especially sun exposure). Vitamin C – The Protective Corrector: as one of the most effective natural antioxidants, Vitamin C is essential for the formation and function of collagen to ensure a firm skin. Vitamin C, is involved in the protection against free radical damage due to UV radiation, skin lightening and prevention of age spots.